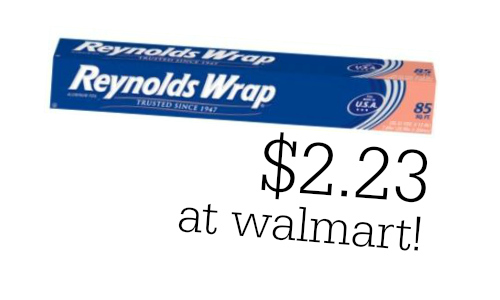 Print this Reynolds Wrap coupon to grab 85 sq. feet of aluminum foil at Walmart for $2.23! Aluminum foil is great for lining baking pans for easy clean-up, covering casseroles, or cleaning your grill. Remember, the prices may vary from store to store, so check your local Walmart to see what deal you can make.